Having lived and worked in Marin and Sonoma counties since 1975, Jen Pennington elevates the notion of the neighborhood expert to a whole new dimension. 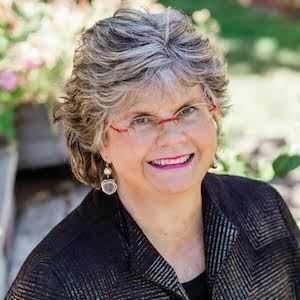 From Sausalito to Sonoma, she has represented homeowners and homebuyers in virtually every North Bay community. Thirty-three years of award-winning experience as imbued Jen with an innate understanding of the subtleties and nuances of the the North Bay down to a street-by-street basis. She combines this prodigious Market Knowledge with her own special brand of boundless enthusiasm and unflagging energy. Jen is a trusted advisor to hundreds of satisfied homeowners; her career is to understand her clients needs and relentlessly negotiate on their behalf. Jen’s reputation for cooperation and successful negotiation have won her the “Agent’s Choice Award” among her peers in Marin and Sonoma. Her calm and easy demeanor put people at ease and her knowledge of the real estate market gives her clients something priceless – Peace of Mind. The Jen Pennington team merges the unique skillsets of Jen Pennington and David Goldsmith, two seasoned Realtors with 35 years of experience helping sellers and buyers find their place in the world. Jen, a Bay Area resident since 1975, has represented homeowners and homebuyers in virtually every North Bay community. A top 2% agent nationwide for over 30 years, 99% of her business is repeat and by-referral. Numbers aside, Jen brings boundless energy and enthusiasm to each transaction. Her stellar reputation for collaboration and negotiation landed her the "Agent's Choice Award" among peers in Marin and Sonoma. Hailing from New York City, David kicked off his real estate career thirty-years ago, in apartment building management. Trading skyscrapers for sandy beaches, David moved to Los Angeles in 1999 and was soon as a top-producing agent in Coldwell Banker’s Old Pasadena office. Making the move to the Bay Area in 2007, David was soon again at the top of his game, advising sellers and buyers in Marin, the East Bay, and San Francisco. Jen, David, and their crack support team of real estate professionals are committed to providing each client with the competitive advantage so critical in today’s hyper-charged real estate environment. The Jen Pennington Team & Compass: helping everyone find their place in the world.